Are you looking for work experience in the field of international security and development? Do you have a particular interest in Central Asia or the Caucasus? Then you might be our next intern! 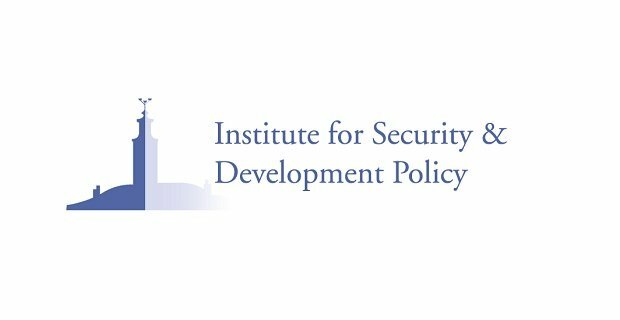 The Institute for Security and Development Policy is a Stockholm-based independent and non-profit research and policy institute. The Institute is dedicated to expanding understanding of international affairs, particularly the interrelationship between the issue areas of conflict, security and development. The Institute’s primary areas of geographic focus are Asia and Europe’s neighborhood. The Institute strongly believes in ethnic diversity, gender equality, and religious and political freedom and firmly stands for it in all aspects of its work. The Silk Road Studies Program focuses mainly on the western part of Eurasia, including Central Asia, the Caucasus, Turkey, Eastern Europe and the Baltic Sea region. The Central Asia-Caucasus Institute & Silk Road Studies Program publishes the biweekly Central Asia-Caucasus Analyst and the occasional Silk Road Papers series as well as monographs. It regularly invites scholars and distinguished experts to hold ISDP Forums concerning relevant and timely topics. Assist in the coordination of Program activities, such as seminars, conferences, and meetings. Knowledge of Russian or other regional language is desired, but not a requirement. To apply, submit the following documents by November 11, 2018 by sending an email to Erik Isaksson – eisaksson@isdp.eu. Documents should be in English and in PDF format. State clearly which position(s) in the ISDP Internship Program you apply for. The starting date of this position is August/September 2019. The supervisor for this position is not based in ISDP’s Stockholm office, and for this reason it is of particular importance that the intern is capable of working independently and formulating and communicating his/her own goals with the internship. The internship takes place in our head office in Stockholm. A 2-4-page written sample in English. The sample could be a university paper or similar text. Excerpts from longer papers are also accepted. Incomplete applications will not be considered. Shortlisted candidates will be contacted for an interview either in person or over the phone. Due to the high number of internship applications we regret that we may not respond to all requests. Please note that all internship positions at ISDP are unpaid, that interns are required to provide by themselves accident and liability insurance, and that we are unable to admit interns over the summer.